No time for a long post today, but here’s Martandrea looking fly on the dark side! Honestly I wonder sometimes if I like Comic Con more than Christmas. 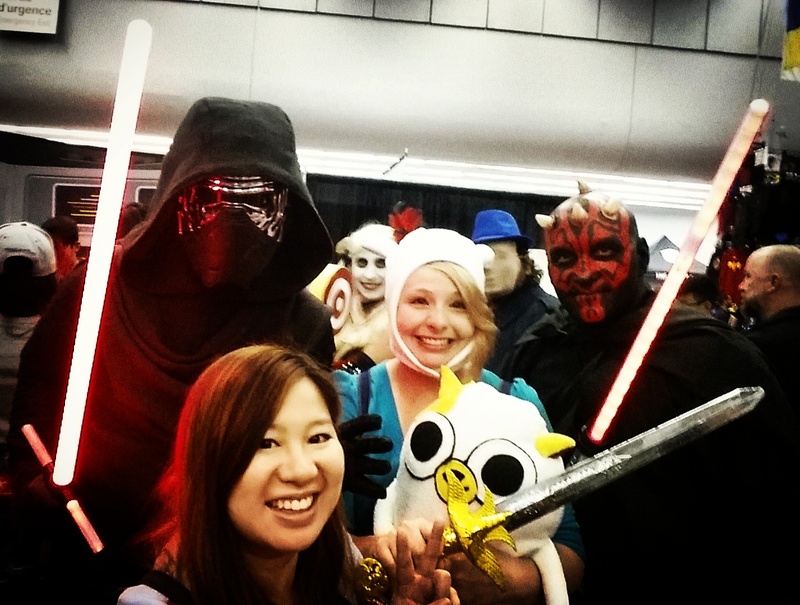 My brother and I stumbled onto a Comic Con in Richmond, Virginia (???). Wherever it was it felt so out of place. The area immediately around the building was uninviting and it seemed that the attendees felt that way too. Sad in an odd way. I should think that a Comic Con should have a spill-out-onto-the-street presence. Hahaha that sounds so awkward! Yeah they don’t have the stalls spilling onto the street in Montreal because it’s a paid entry, but the crowds of Zeldas, Darth Vaders, Ghostbusters, and every other kind of cosplayers within a 5 mile radius is just spectacular to witness.